Spacious, modern apartments come with free WiFi access, full kitchen, spa bath in the ensuite and private, wrap-around balconies with stunning partial or full ocean views. Air conditioned living areas, Foxtel and unlimited internet is included. 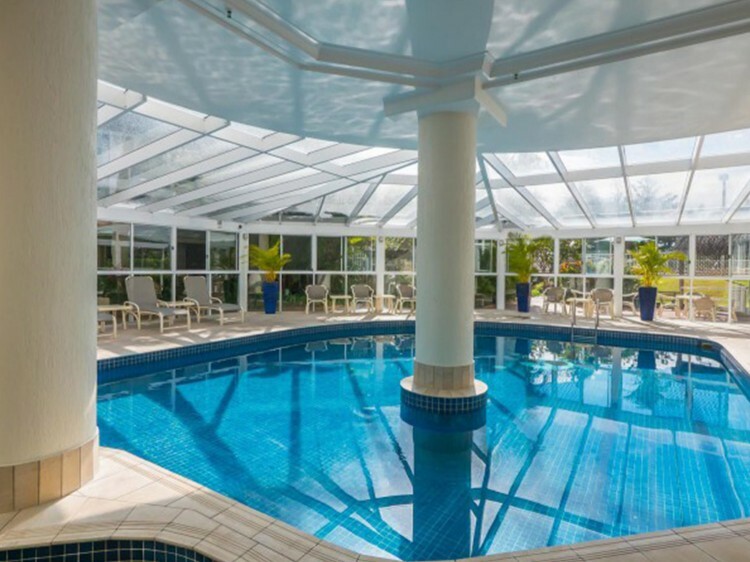 The resort features an outdoor swimming pool and spa plus an indoor heated pool and spa. Discover the health-boosting benefits of steam with an invigorating session in the sauna. Get active on the full size all-weather tennis court (racquets and ball hire available). On a sunny Gold Coast evening, grab a few cool beers and enjoy a lazy barbecue dinner with friends and family. 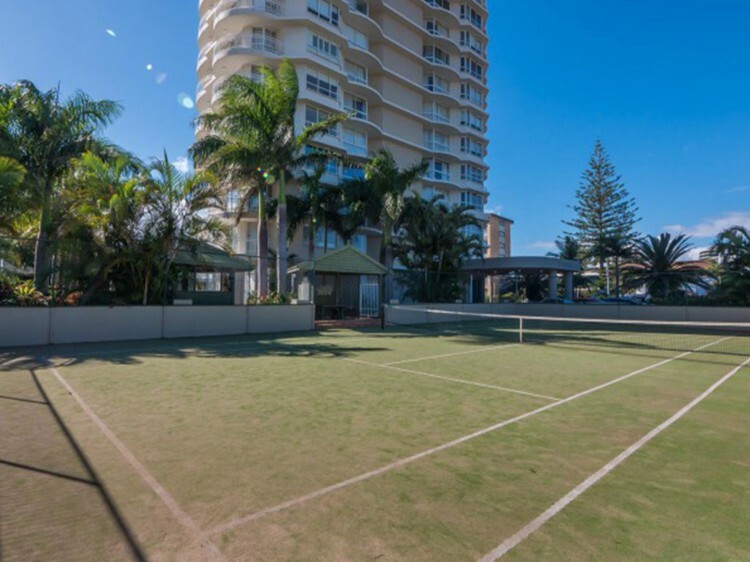 Located on floors 5 and higher with guaranteed ocean views overlooking Burleigh Heads from your private balcony. Ensuite with spa bath, cable TV, free wireless broadband internet, air conditioned living area, full kitchen and laundry facilities, 32" Wide screen High Def. LCD televisions and Sony PS3 players with free use of PS3 Games & DVD Movie Library. 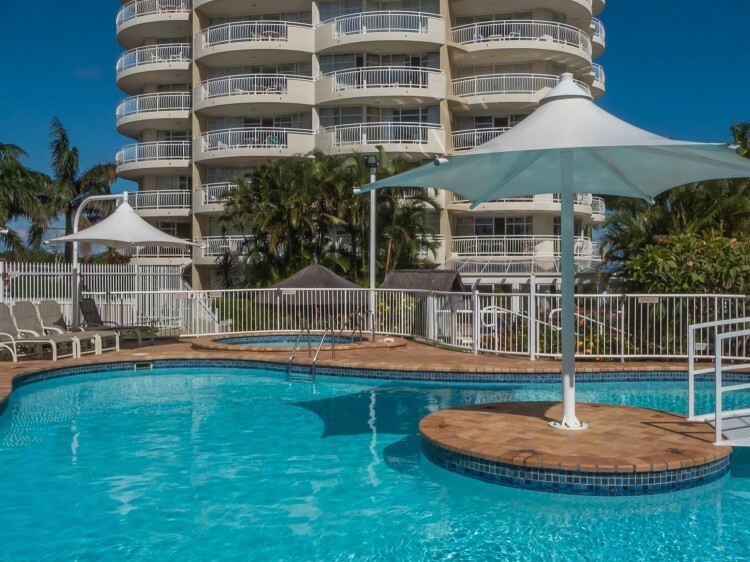 Located on Floors 3 - 21 overlooking Burleigh Beach from private balconies. Apartments feature ocean views through trees along esplanade on the lower levels and fantastic ocean views for the higher levels. Two bathrooms (ensuite with spa bath), cable TV and free wireless broadband internet, air conditioned living area, full kitchen and laundry facilities, 32" Wide screen High Def. LCD televisions and Sony PS3 players with free use of PS3 Games & DVD Movie Library. 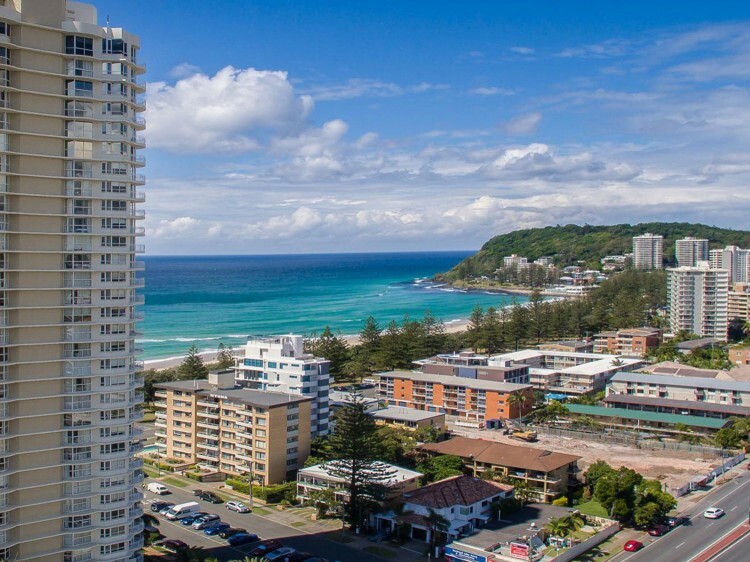 Overlooking Burleigh Beach from private balconies. Apartments feature guaranteed ocean views. Two bathrooms (ensuite with spa bath), cable TV and free wireless broadband internet, air conditioned living area and main bedroom, full kitchen and laundry facilities, 32" Wide screen High Def. LCD televisions and Sony PS3 players with free use of PS3 Games & DVD Movie Library. Fully renovated kitchens with modern appliances, premium bedding, LCD TV in main bedroom. Enjoy space and comfort in this 3 bedroom / 2 bathroom sub penthouse located on the higher levels of the resort. Full kitchen and laundry facilities, spacious living and dining areas, a luxurious spa bath, high definition LCD TVs in the lounge and main bedroom. All apartments feature free WiFi access, free cable channels and a Sony PS 3 player. After a busy day exploring, unwind on your apartment’s private wrap-around balcony and soak up stunning ocean views. Enjoy space and comfort in this 3 bedroom / 2 bathroom sub penthouse located on the higher levels of the resort. Full kitchen and laundry facilities, spacious living and dining areas, a luxurious spa bath, 40" high definition LCD TV in the lounge. All apartments feature free WiFi access, free cable channels and a Sony PS 3 player. After a busy day exploring, unwind on your apartment’s private wrap-around balcony and soak up stunning ocean views. Fully renovated kitchens with modern appliances, premium bedding, LCD TV in main bedroom. Imagine staying on the top floor? It’s big enough for the extended family or 2 families together. This one and a half level apartment captures uninterrupted views in all directions, completely unobstructed. It features its own roof top pool, sauna, spa, 4 bedrooms, 3 bathrooms and huge living areas. This air conditioned apartment occupies the entire 30th Floor and gives complete privacy. Please note that SPECIAL and EARLYBIRD offers require full payment at time of booking and are non-refundable.